Donna Eden Daily Energy Routine – Healing by Energy! Hey everyone, Clark here from Self Help Books. 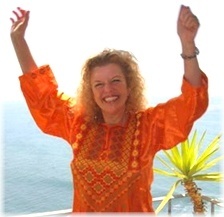 Today I would like to introduce you to the 5-minute Donna Eden Daily Energy Routine. It is a set of exercises that can be done in 5 minutes and if done every day would establish healthy energy habits in all the body’s energy systems. This may well lead to NATURAL healing (by energy). So without further ado, let’s get right into the first procedure below. BACKGROUND: Energy crosses over from the left hemisphere of the brain to the right side of the body and from the right hemisphere of the brain to the left side of the body. Such figure-8 crossover patterns can, in fact, be found throughout the body, with the prototype being the double helix of the DNA molecule. While these crossover patterns are natural and spontaneous, with the activities and stresses of daily life, energies sometimes start to flow in a “homolateral” pattern, that is, same side, same side. When the energies do not cross over properly, you lose some of your vitality as well as your ability to heal or prevent illness. The simplest technique Donna has for keeping the body’s energies crossing over is called the “crossover shoulder pull”. INSTRUCTIONS: Place one hand on its opposite shoulder. Dig your fingers into the back of the shoulder, drag it over the top, and pull firmly down and across your body diagonally to your opposite hip – when you get to your chest just smooth your hand over to the opposite hip. Do this about 5 times and then repeat on the other side. Breathe deep as you do it. “Energy hot spots” can be found on your skin all over your body. Simply massaging or tapping on these points stimulates, balances, or unblocks specific energy pathways or centers. Here are the four that are part of the Daily Energy Routine. BACKGROUND: Your Stomach meridian begins at the top of your cheekbone and goes straight down your body and into the ground. Stomach meridian is one of the 14 energy pathways, and it is named as such since it flows through the stomach. Stomach meridian is very different from stomach the organ. If the Stomach meridian is not flowing properly, your energy doesn’t get down to your feet and into the ground. When that happens, you literally feel ungrounded. You also can’t think as clearly or operate as well. INSTRUCTIONS: To get the Stomach meridian’s energy flowing, simply tap your cheekbones under each eye vigorously with 2 or 3 fingers. Tap firmly, but never so hard as to hurt yourself. BACKGROUND: The 27th and last acupuncture point on the Kidney meridian is called K27. It is a juncture point that ensures that all the body’s 14 major meridians are flowing in the proper direction, a pattern that can, again, become disturbed with our daily activities and stresses. Stimulating the paired (left and right) K27 points reestablishes a better flow throughout the entire meridian system. Stimulating the K27 points also bolsters the immune system. INSTRUCTIONS: To locate your K27 points, place your fingers on your collarbone and move them toward the center until you come to the corners of the collarbone just below the throat. Move your fingers down about an inch. For most people there is an indent there. This is the location of the paired K27 points. To stimulate the right and left K27 points, tap them with some force, but never tap so hard as to risk bruising. BACKGROUND: Your thymus gland supports your immune system. It makes T-cells and helps your body fight disease. The Thymus Thump enhances immune function, supports your body as it “metabolizes” threats to your health, and helps your body handle stress and shock. INSTRUCTIONS: To do the Thymus Thump, simply thump on the center of your chest (on your sternum in the area over your thymus) with your fingers or knuckles. Tap vigorously for fifteen to twenty seconds. BACKGROUND: Your Spleen meridian governs metabolism and blood flow, and it also supports immune functioning. It supports the body’s ability to metabolize energies, substances, and even thoughts. INSTRUCTIONS: The last acupuncture points on Spleen meridian are located on the side of the ribcage at the base of the ribs. To do the Spleen Thump, tap these points vigorously for about fifteen seconds. BACKGROUND: The “hook up” is a deceptively simple yet deeply important energy intervention. It involves creating a connection between the Central and Governing meridians. Central meridian travels from your pubic bone, up the center of your body, and ends deep in your throat at the level of your bottom lip. Governing meridian travels from your tailbone up your spine, and over your head, ending at the back of your throat in line with your top lip. These two energy streams act as an “energetic spine”, connecting mind and body, maintaining the body’s deep habits. The “hook up” strengthens this “energetic spine” and creates a strong energy field around the body to help you feel whole and connected. INSTRUCTIONS: Place the middle finger of one hand on the “third eye” (between the eyebrows above the bridge of the nose) and the middle finger of the other hand in the navel. Gently press each finger into the skin and pull it upwards. Hold for 15 to 30 seconds. Energy medicine is at the cutting edge of scientific understanding of how to better support health and healing. Do the “crossover shoulder pull”, the “four thumps” and the “hook up” every day, and you would establish healthy energy habits in all of your body’s energy systems, and natural healing for whatever is troubling you. P.S. 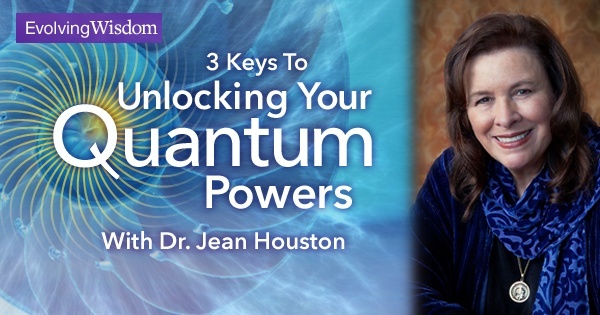 I learnt this from Jean Houston’s Unlock Your Quantum Powers program. You can learn more about Jean’s work here. That would be all from me today. If you have enjoyed or found this post to be useful please share it with others, and should you have any questions or comments in regards to this topic just let me know in the comment box below and I will get back to you as soon as I can. Thanks so much for reading! 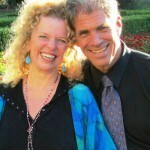 8 Responses to Donna Eden Daily Energy Routine – Healing by Energy! Wow, these are great! I tried the crossover shoulder pull and the hook up. I need to do these things more often but it always seems that taking care of self is the last thing… I’m bookmarking this and going to try and come back often. Thanks! Well, they won’t take up more than 5 minutes of your time, so it’s highly recommended! I really like this! I’ve never heard of this but I will start doing this and see what results I personally get! Yes, do them daily and watch what happens! This sounds great! I could really use some energy and healing. Any chance you can provide pictures or direct us to where we can see exactly how to do these techniques? Any help would be appreciated thanks. Hi DSuter, thanks for the feedback! For sure that is now part of my plan :). So keep an eye out for my upcoming pictures/alternatives! Thanks, David. Hope it helps you GREATLY in your day-to-day living!